I have just placed an M&S order, and wanted to alert you to a few finds and the beauty box offer! Starting with my most exciting purchase which is really random and nothing at all to do with clothes, but I thought I would share it anyway! I also bought these slides which I ordered a while ago and completely forgot to pick up, until I saw them on Wardrobe Icons this week. Always nice to get affirmation that you have chosen well by those in the know! I thought they might be uncomfortable, as often slides hurt my feet because the base is heavy, but they are surprisingly light on. I haven’t worn them for a full day yet because I am still trying to decide between black and the oyster. 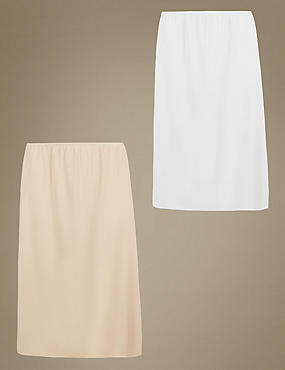 Pair with tailored shorts or culottes and a white linen shirt for an understated chic summer look. I have been trying out various sports bras from M&S, as the one I was wearing was so uncomfortable it actually gave me shoulder ache. Of all the bras I have tried my favourite is this high impact one, which I have in the grey. It’s so comfortable I forget I have it on. If you take high impact exercise, I highly recommend it. In one of my stories this week, I mentioned that I found strapless bras really uncomfortable to wear. Two people messaged me, to say that they had had the same problem with strapless bras until they discovered this one at M&S. I haven’t tried it myself, but I am going to, because I suddenly thought perhaps it was the underwire in my strapless bra that I was finding so uncomfortable, because I happily wear strapless bikinis under my dresses on holiday. I particularly like the shape of this one, if you are wearing a dress with a deep v, your bra won’t show. Another item that will transform your summer wardrobe, is a slip. Wear them under any slightly see-through dresses. This is a 2 pack for £16. Bargain. 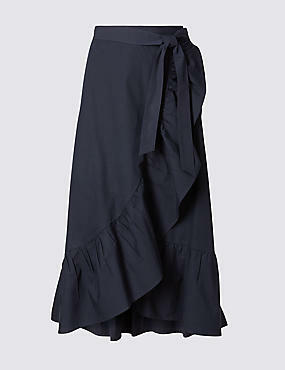 I have had my eye on this navy wrap skirt for a while and was very disappointed when I tried on my size and it was too big (8) It’s a beautiful skirt and would be so useful in your summer wardrobe and I think it would work just as well in the office as it would on a summer holiday. It also comes in two different lengths. And the best bit of all, if you place an order from home, clothes or beauty over the value of £40 you get this beauty box worth £105 for £10! Offer valid 22nd – 26th June. 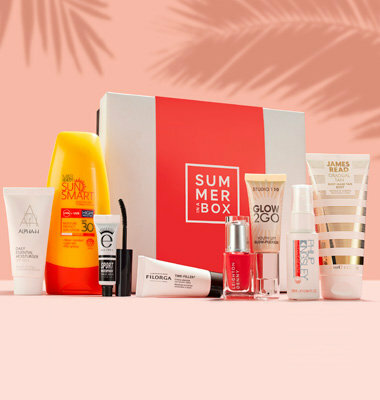 Beauty Box worth £105 for £10!!! Filorga Time-Filler Wrinkles Correction Cream 15ml, Eyeko Sport Waterproof Mascara 4ml, Leighton Denny Nail Polish 12ml, James Read Gradual Tan Sleep Tan Mask Body 100ml, Philip Kingsley Instant Beach Texturising Spray 25ml, Studio 10 Youth Lift Glow-Plexion Cream 15ml, Alpha-H Daily Essential Moisturiser SPF 50+ 30ml, M&S Sun Smart SPF 30 Lotion 200ml. Don’t forget you have to add the beauty box yourself. It won’t do it for you. Find it via the product code below and add it to your basket. £10 beauty box when you spend £40 on clothing, beauty & homeware. 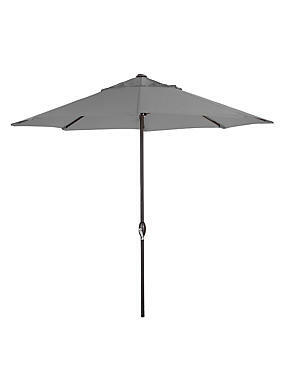 Search product code T311155G & add to bag to redeem.